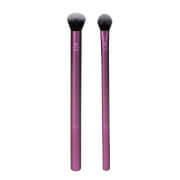 Achieve a professional make-up look with Sigma's Nightlife Brush Set. Featuring a patented, three-ring SigmaAlloy™ ferrule and a lightweight handle crafted from sustainable, scratch-resistant wood, the collection combines five limited edition brushes with glitter handles inspired by the city lights from New York to Rio de Janeiro. Works with gel, liquid or powder products. Press product along upper and lower lash lines with ultimate control and precision. 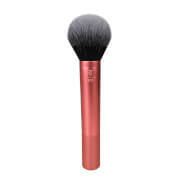 Ideal for applying colour to the eyelids, the brush effortlessly picks up and distributes product, whilst softening harsh lines for a well-blended finish. 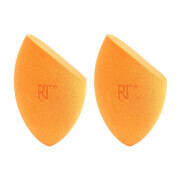 Features a soft, dense head and slightly rounded edges to easily apply powder. Place eye shadow across the whole lid for even application. Effortlessly apply highlighter onto the upper contours of the face for a defined, sculpted look. Diffused finish gives skin a natural glow. With a fluffy, angled tip for even application of blusher and bronzer, the brush reaches every curve, crease and contour for ultimate precision.